Capoeira, the Bahian martial art. Brazil is the biggest country in South America and the only Portuguese-speaking American country. 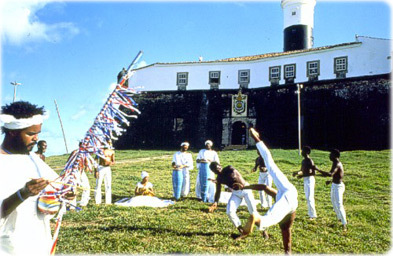 Performance of capoeira, in Salvador, Bahia. Crystal Palace in Petropolis, Rio de Janeiro. 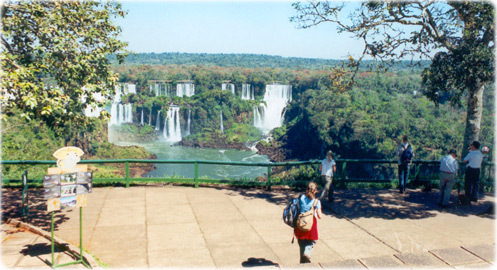 The first images of the Iguassu Falls as seen by the visitors of the Iguassu National Park, in Paraná. 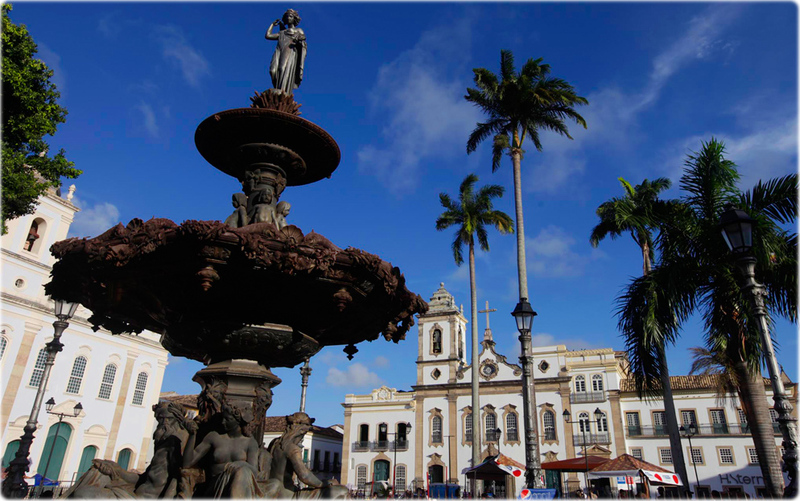 A Val d'Osne fountain by the French artist Mathurin Moreau, inaugurated in 1858, in the Historic Center of Salvador, the first capital of Brazil. 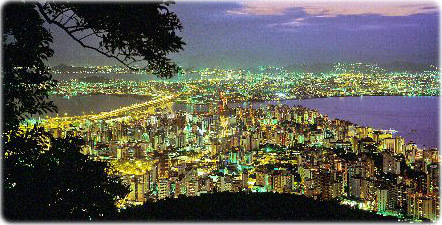 Copyright © Geographic Guide Cities and pictures of Brazil. 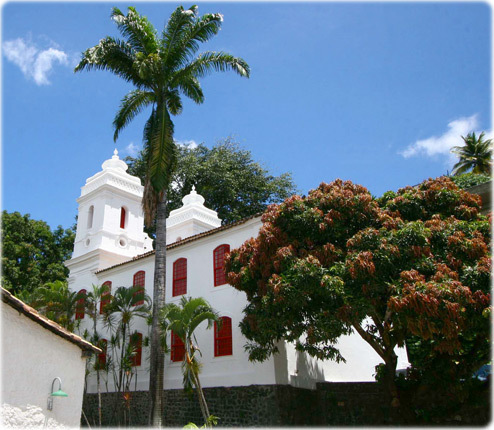 Brazilėjė, tourism and tourist attractions. Brasile. Florianópolis, Santa Catarina (C. Knepper). 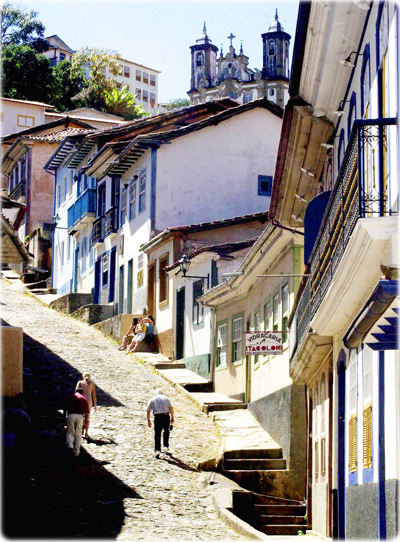 Ouro Preto, a historic city in Minas Gerais. Solar do Unhão, a historic cultural center in Salvador.